Hong Kong is overwhelming in the best possible way—an assault on all of your senses as you’re jostled through colorful, relentless crowds. People here move quickly, with purpose. The escalators and moving walkways are the fastest I’ve ever experienced, so keep your wits about you and don’t get too distracted by the hodgepodge of shops. Public transportation is super efficient and the best way to navigate the city. On the island, you can get nearly anywhere without even going outside via breezeways and the longest outdoor escalator system in the world. 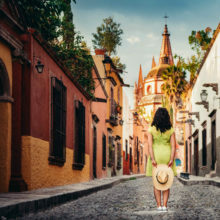 The malls here are enormous and you can go from the fanciest three-star Michelin restaurants to wet markets and street food in a matter of minutes. There’s everything from Ladurée to Garrett Popcorn, and it’s like the whole world has converged on one city. Here’s how to make sense of it all. 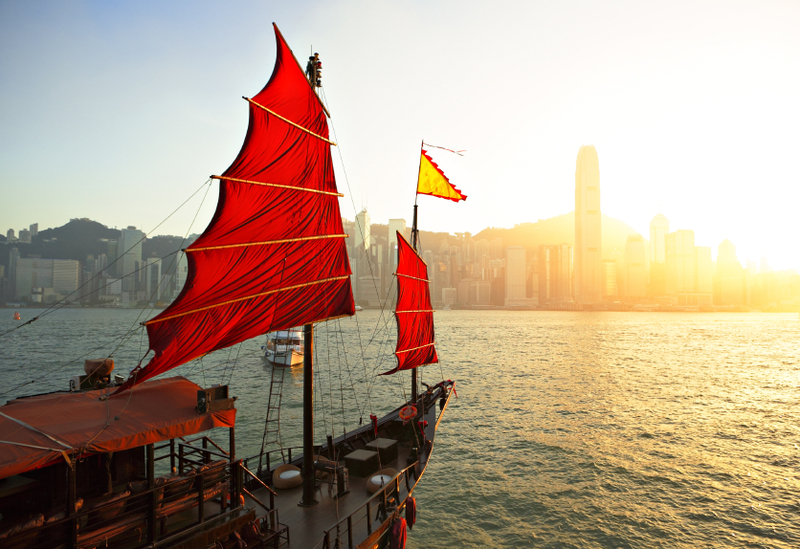 Cathay Pacific flies direct to Hong Kong from Los Angeles, Chicago, New York, San Francisco, and Boston. There’s no WiFi available yet, but business class includes lie-flat beds, an interesting selection of international films, and some pretty delicious food. Cathay caters to both Asian and American palates on its planes—with congee, dim sum, or an omelette offered for the hot entrée portion of breakfast. I was pleasantly surprised by how fresh and flaky my curried halibut entrée was, and Cathay offers several flavors of Haagen-Dazs for your sweet tooth at any point during the flight. For a trip that can be as many as 15 hours, business class is absolutely worth the splurge to turn what could otherwise be a dreadful experience (I distinctly remember how awful a long haul flight on United in coach to Singapore was last year) into a pleasant one. 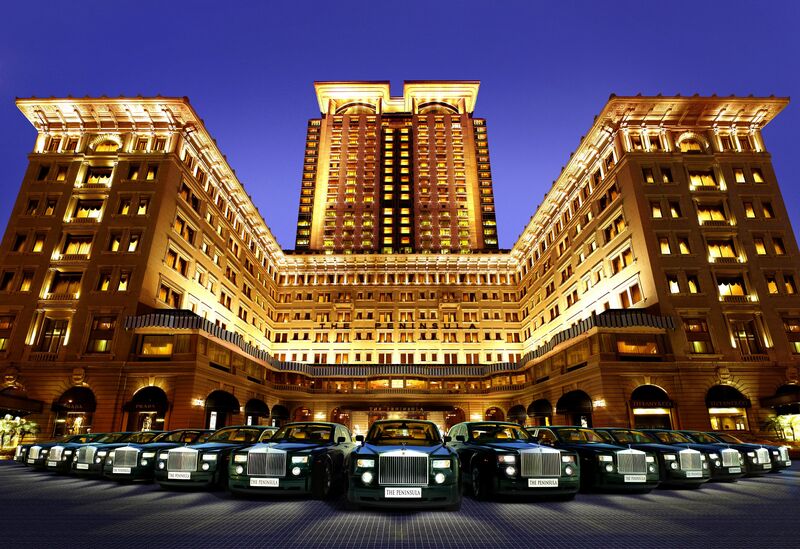 Arrive in style with a Rolls-Royce Phantom airport transfer to The Peninsula Hong Kong. The grand dame of Hong Kong hotels opened its doors in 1928 with the ambition of being “the finest hotel east of the Suez,” and its walls whisper secrets from much of Hong Kong’s 20th-century history, entertaining Hollywood celebrities as early as Charlie Chaplin in the 1930s and playing an important role in World War II. A $58-million renovation in 2013 ensures that furnishings and technology are exactly what a modern traveler needs. I loved the universal adapter elegantly concealed in the desk and the LED touchscreen panels and bedside tablet to easily control the lights, curtains, and thermostat from anywhere in the room. Shangri-La Hotels and Resorts is another legendary Asian hospitality group with a couple of standout hotels in prime locations whether you prefer staying on the Kowloon Peninsula or Hong Kong Island. The Kowloon Shangri-La has more rooms and is closer to where most of the locals live, while Island Shangri-La is in the middle of the central business district and has more stately, European-influenced decor, with nearly 800 Austrian and Venetian crystal chandeliers (including one in every guest room!) and the largest landscape painting in the world, consisting of 250 panels of Chinese silk. 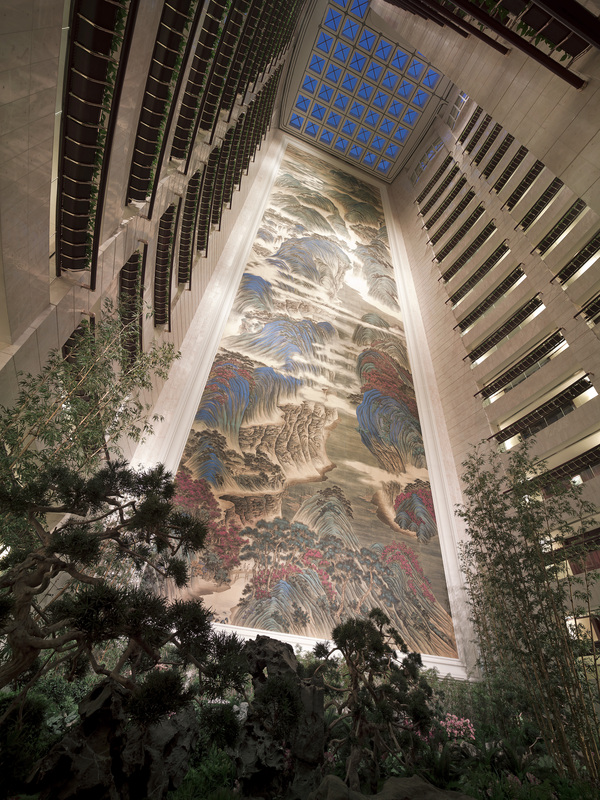 Cruise up and down in the bubble elevator to properly admire all 16 stories of The Great Motherland of China mural. Several small containers of jasmine and bergamot L’Occitane toiletries, carried at both Shangri-La properties, found their way from the marble bathroom counters into my luggage. I love L’Occitane but this sweet, delicate scent wasn’t one that I had tried before. The service at both Island and Kowloon Shangri-Las is so thoughtful and detail-oriented. From fresh orchids and pastries at turndown (somebody must have discovered that I have a sweet tooth) to a replenished fresh fruit platter each day, these extra touches are what separate properties at the five-star level. Both Shangri-La properties also have executive Horizon Club lounges with spectacular views of Victoria Harbour and include complimentary breakfast buffets, afternoon snacks, and wine in the evening. At all three of these hotels, I was greeted with a pot of warm tea waiting in my room upon check-in, as is Chinese tradition. Many spas recommend that you arrive a half hour early to enjoy various spa amenities, but The Peninsula Spa suggests a full hour. You’ll need it to explore the 12,000-square-foot spa, furnished in marble, granite, and wood, echoing the warm tones and sumptuous materials used throughout the hotel. The thermal suite includes a crystal steam room, aromatherapy shower, and both the sauna and relaxation room have incredible views of Victoria Harbour. The facialists here do not mess around when it comes to extractions and facial massage technique. Deft, powerful upward massage strokes during a Margy’s Monte Carlo collagen facial will give you an instant facelift and dramatically improve your circulation before a plumping masque leaves your skin glowing. Sip a glass of complimentary Ruinart while gazing across Victoria Harbour as you’re getting a manicure or pedicure (or both at the same time!) at the new Four Seasons Nail Bar. The newest addition to the spa facilities, the nail bar is the most lavish in town, and the nail artists are incredibly talented. You can send any designs in advance, and they’ll be prepared to give you the nails of your dreams. The Australian-made Christina Fitzgerald hand and nail products, including a cuticle exfoliator and softener with kiwi extract, smelled great and felt so luxurious on my skin. Flawless Spa is a hip day spa that all the locals go to. You can get a facial with natural Aromatherapy Associates products, followed by a makeup application or mani/pedi so you’ll walk out ready for a hot date. With its large expat population and status as the financial hub of Asia, Hong Kong excels at both Western and Asian cuisines, particularly at the fine dining level. Celebrity chefs like Joël Robuchon and Alain Ducasse have staked out prime real estate for their empires: L’Atelier de Joël Robuchon in the Landmark Atrium and SPOON by Alain Ducasse at the InterContinental. L’Atelier offers an intimate kitchen-counter dining experience with experimental French cuisine, including an imaginative and satisfying vegetarian tasting. SPOON is also a beautiful restaurant and it’s worth stopping in even just for dessert and a glass of champagne. All the chocolate is from Alain Ducasse’s factory in Paris. Then there’s Amber, perhaps the most renowned French restaurant in town, located within the glamorous Landmark Mandarin Oriental. The food here is technically perfect, with rich, savory flavors on the new fall menu. Miniature mushroom macarons and pumpkin currant fritters set the tone, while succulent mullet received a sweet and savory dressing of seared persimmon and reduced civet sauce. Although you could stick to French and Italian fare, what would be the fun in that? It would be a shame to leave Hong Kong without trying Cantonese dim sum and Chinese delicacies like bird’s nest, jellyfish, char siu pork buns, and osmanthus jelly. At Lung King Heen in the Four Seasons, Chef Yan Tak Chan became the first Chinese chef to achieve three Michelin stars in 2009 and has maintained those high standards ever since, with delectable dim sum specialties like hairy crab xiao long bao soup dumplings and innovative twists on Chinese classics. For example, replacing rice with puntalette pasta and frying it with minced beef and XO chili sauce. 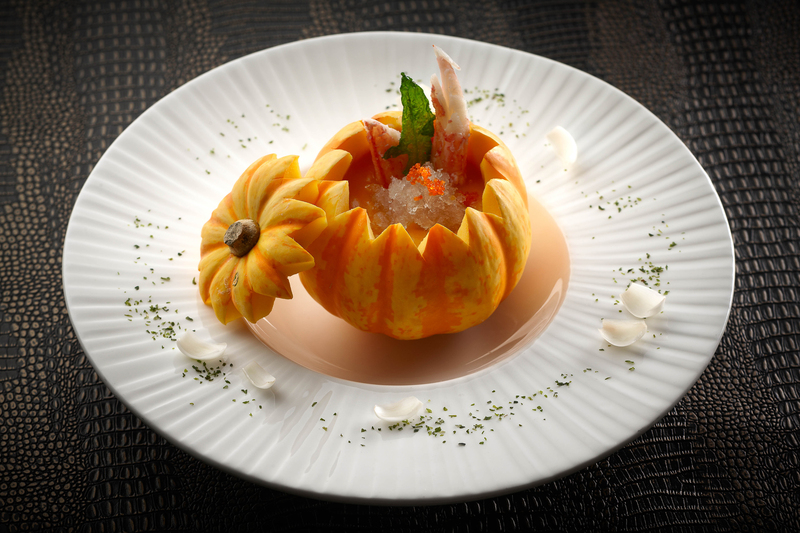 Both Shangri-La properties showcase fine dining Chinese food at impressive levels as well. Kowloon Shangri-La is home to Shang Palace, while the Island Shangri-La houses Summer Palace. You’ll enjoy traditional dishes like bird’s nest seafood soup, wok-fried lobster with Teochow noodles, and wagyu beef in housemade XO sauce; both dining rooms are decorated opulently and auspiciously in red and gold. Shang Palace’s Chef Mok Kit Keung visits Tai Po Market twice weekly to source the fish, meat, and produce for seasonal specials, storing his still-swimming seafood in tanks within the kitchen. While you’ll find similar dishes on the menus at many Chinese restaurants, step into Bo Innovation and your concept of Chinese food will be forever changed. Here, modern interpretations of Chinese cuisine unfold over 16 courses, incorporating molecular gastronomy techniques and European ingredients all while paying homage to traditional Cantonese and Chinese food and legends. One course on the vegetarian menu, “dead garden,” is inspired by the pollution in Hong Kong and fresh steamed hairy crab with roe emulsion is served out of a baby food jar, complete with a Hello Kitty plastic spoon. Book a seat at the chef’s table for a more interactive experience and you’ll be amazed at how efficiently the small team works in the even smaller kitchen. You’re surrounded by water, so you’ll want to get out on Victoria Harbour at some point, whether that’s taking an old junk cruise or the Star Ferry. Allow an hour to cruise around the circular route covering Tsim Sha Tsui, Central and Wan Chai to enjoy several different views of the island and its iconic landmarks. Another tourist must is taking the Peak Tram for panoramic views of the bustling city from the sky terrace. There’s dining and shopping at the Peak, along with a Madame Tussauds, but you’re better off heading back to the city once you’ve taken some selfies and soaked up the views. The most extravagant high-end shopping is on the island, at the IFC Mall and at Landmark. Here you’ll find a mix of international designer brands and a few local boutiques and Asian brands you may have never heard of, like Kwanpen’s crocodile leather handbags and Yewn’s intricate Chinese jewelry. On Kowloon, Granville Road is home to more affordable fast fashion and outlet stores where you can score some incredible deals. For more insight into the local culture, visit the Wong Tai Sin Temple, home to Buddhism, Confucianism, and Taosim, or escape the hustle and bustle of the city to the serene Tang dynasty-style Nan Lian Garden. Try to catch the spectacular Symphony of Lights one evening somewhere with a nice rooftop view before partying at Cé La Vi nightclub.